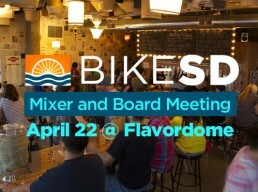 Come meet up and have a beer with BikeSD's board of directors for a social mixer at Modern Times' FLAVORDOME! We'd love to hear your ideas about biking and bike advocacy in San Diego. 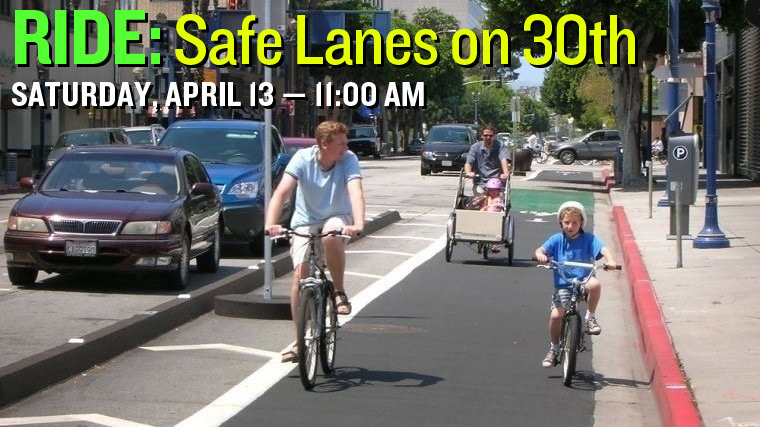 And we'll be celebrating our successful event: the Family Ride and People Protected Lanes on 30th Street. 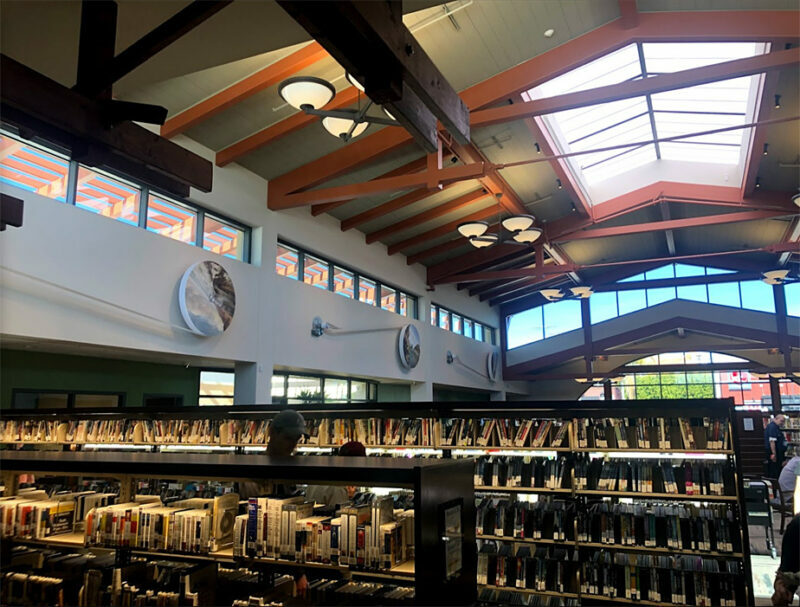 Join us for a drink and stay for our full board meeting at 7:00 pm, if you'd like. We love doing outreach with the amazing bike community in our city! 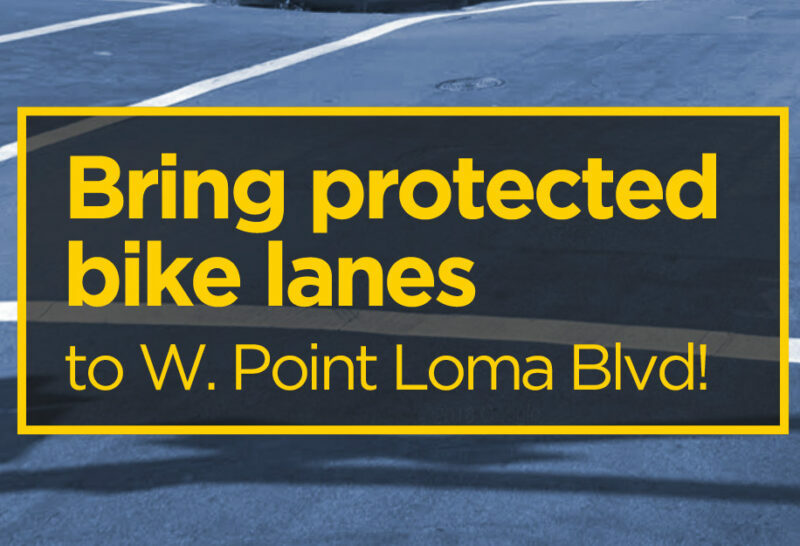 Come voice your support for fully-protected Class IV bike lanes along West Point Loma Blvd. 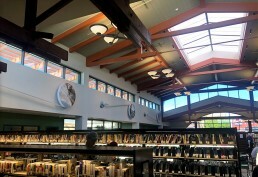 The City of San Diego is presenting this option to the Peninsula Community Planning Board. 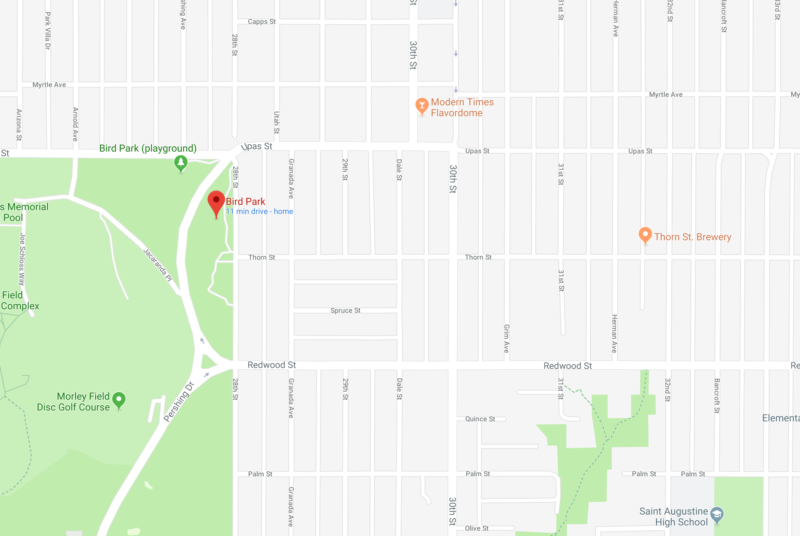 It's critical that bike and street safety advocates come and support this project to help create an amazing transformation of a neighborhood street and provide a wonderful bike facility for all ages and abilities. Spread the word and help show support for this opportunity to create safer streets in the community. 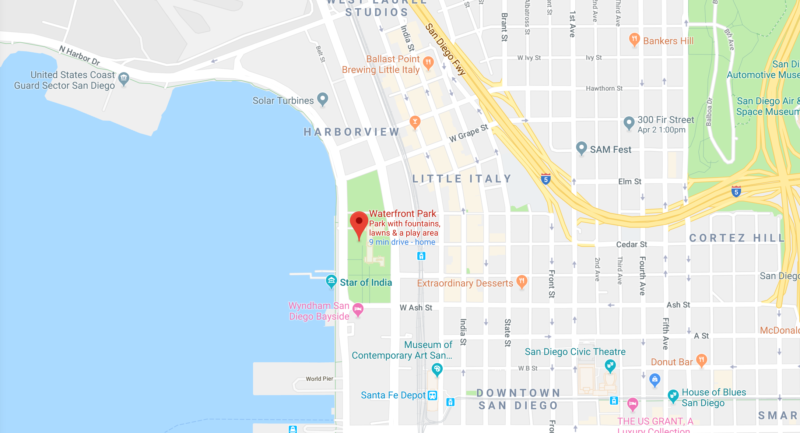 Bring your bicycles to Waterfront Park on Friday, April 13, from 3-6pm for an easy flat ride along the new separated bike lanes in downtown San Diego. 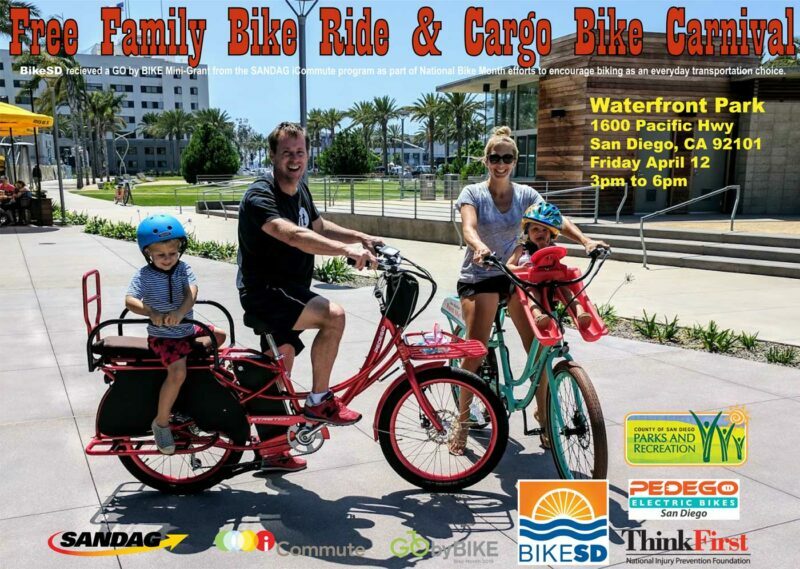 Free demonstrations of cargo bikes suitable for families (including electric bikes and accessories). 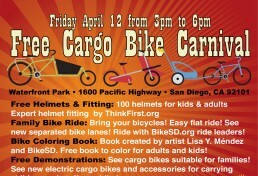 Free helmets for 100 kids and adults with expert fittings by ThinkFirst.org. Bike coloring book by artist Lisa Y. Mendez and more. El Paseo por Carriles Seguros en la Calle 30 comenzará en Bird Park (Upas y 28th St.) a las 11 AM y terminará en el mismo lugar para tomar un helado. Creemos que las calles deben ser para las personas, no solo para los automóviles. En las calles diseñadas para personas, los ciclistas de todas las edades y habilidades tienen lugares seguros para viajar que están físicamente protegidos de los automóviles, y los peatones pueden cruzar la calle de manera cómoda y segura a través de intersecciones diseñadas teniendo en cuenta sus necesidades. Imaginamos una red de carriles para bicicletas protegidos para que cualquiera pueda subirse a una bicicleta sin miedo y viajar de manera segura al trabajo o al colegio, comprar en negocios locales o hacer algo de ejercicio. 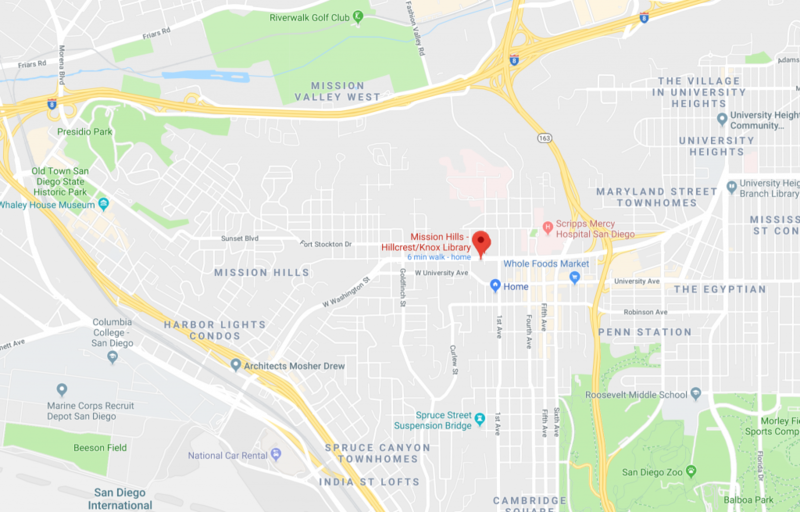 Recently, the city proposed creating new bike lanes on 30th Street and we're riding to make a bold statement that any new lanes along this critical corridor must be physically protected. 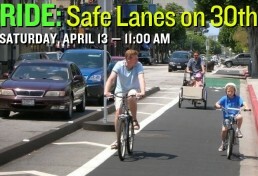 Today, safe lanes on 30th; tomorrow, safe lanes for all of San Diego. If we have enough volunteers, we will create a "people-protected bike lane" for a short stretch. 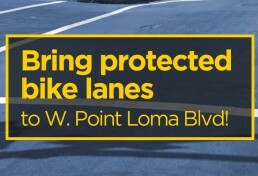 Contact talk@bikesd.org to help create a people-protected lane.